How can we capture data over a long test time but still capture fast, transient failures? The ScopeCorder series of instruments present valuable features to meet all the demands simultaneously, without the time and expense of a custom built test system. 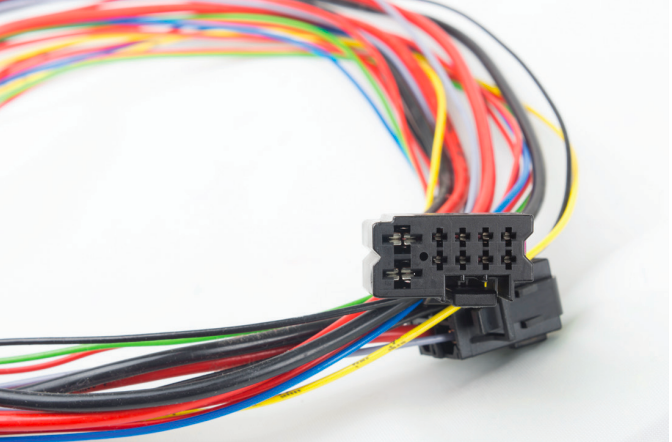 These features are perfect for a lifetime test of a wiring harness, where the failure mode is fast but the test duration may be 48 hours or more. ScopeCorders such as the DL850E can host multiple simultaneously sampled analog channels -- up to 16 high speed or 32 channels at 1 MS/s. 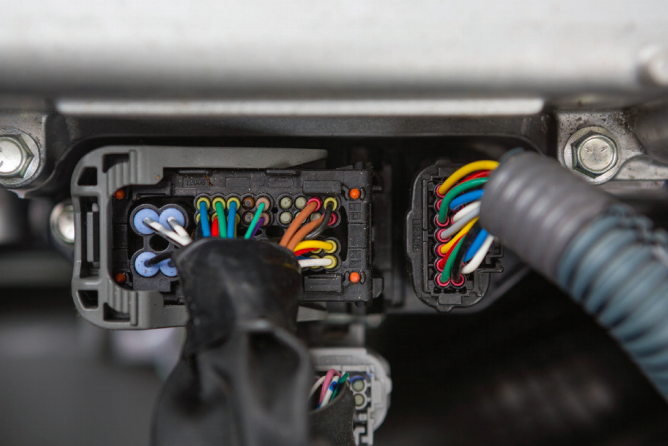 This means that multiple harnesses can be connected into one chassis, increasing statistical significance and decreasing the cost of each test. Using an OR trigger means that any individual channel can activate the trigger. For every channel installed in the system, an Edge and a level is set. The distal, mesial and proximal levels can be set to properly model the trigger after the testing requirements for a sudden change in resistance. 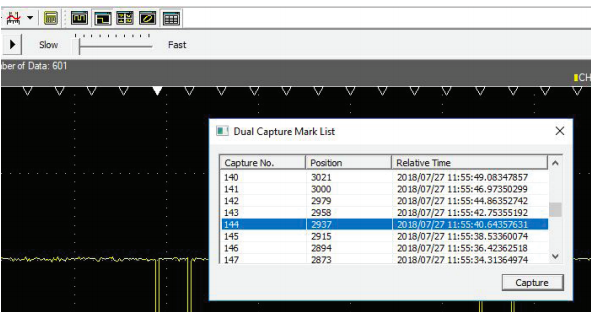 Dual Capture will allow a slow sample rate when there is no transient failure, and switch to a fast sample rate each time the trigger condition is met. This way a fast sample rate is only used when needed, so that fast transients can be captured over a long test duration. Choosing 1 minute per division will result in a 10-minute test, while the record length determines the number of data points (and therefore the sampling rate) during the long-duration acquisition. ScopeCorders are capable of much larger time per division when longer tests are needed. Dual Capture settings affect the fast sampling any time a trigger condition is met. 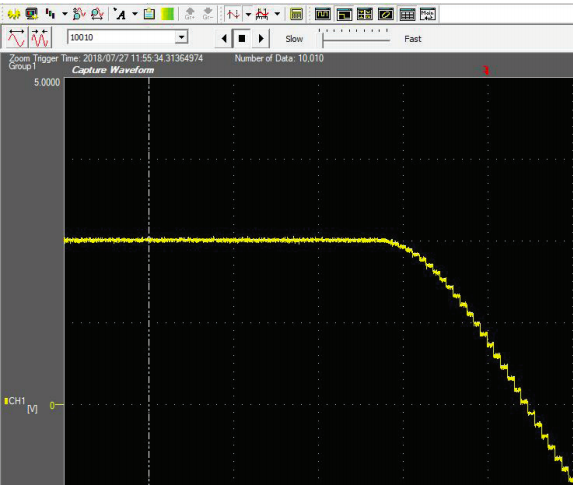 In order to capture a 1μs temporary disconnection (or resistance issue) it is best to use 10 or 100 times faster sampling. In this example we use 100 MS/s by setting 1 μs/div and a 10k samples capture length. This is available for up to 5,000 events. Dual Capture produces a List of capture events when the high-speed sampling was triggered. 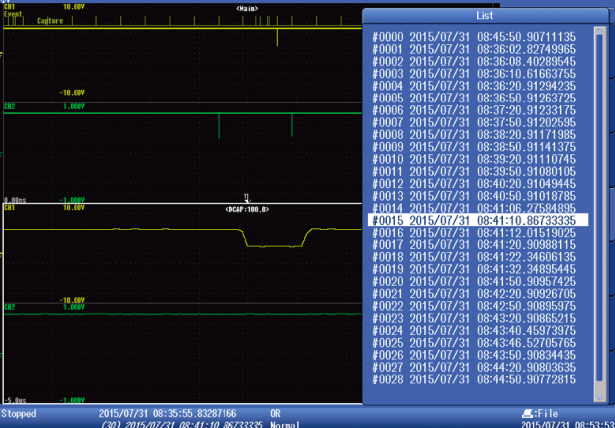 Along with this, an Event channel appears on the screen, showing a positive spike each time an event occurred. This makes it easy to zoom into events or observe failures over time. All of the dual capture events exist as History inside the ScopeCorder memory. Choosing History Statistics and executing a “-Width” measurement finds all the low-going pulses and measures their widths. Each input channel lists separate statistics. When it comes to working with multiple data files and large binary data sets, XViewer offers flexible views, analysis, and intelligent merging of files and channels. Opening a Dual Capture in XViewer makes each event in the event channel clickable, with a small triangle at the top of the trace. A convenient Return to Waveform icon expedites the workflow making it simple to move from the long-term waveform to the high-sample-rate captures. Data Acquisition acquires data points. But a system provides engineers with answers. Using the right features, a ScopeCorder is not just a recorder but a system in a box.